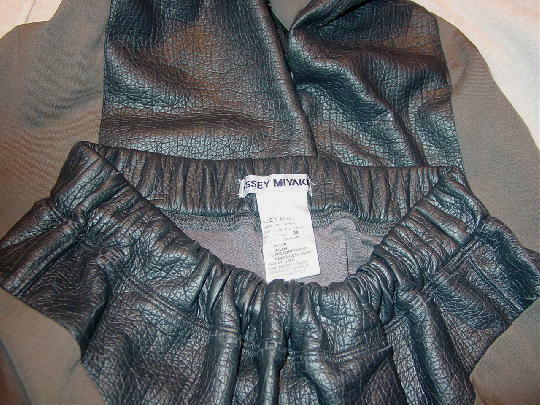 These 95% nylon and 5% polyurethane stretch pants (which have the appearance of leather) were made in Japan by Issey Miyake. 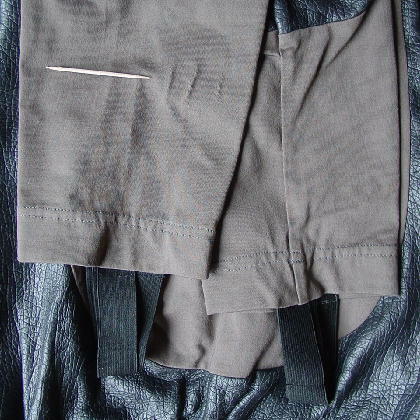 They have a 1 5/8" wide elastic waistband and stirrups at the end of the pant legs which are two 6" long by 1 7/8" wide pieces of elastic which are sewn together in the middle. The faux leather is very soft and smooth, yet it looks like the hide of an elephant, with its line designs. 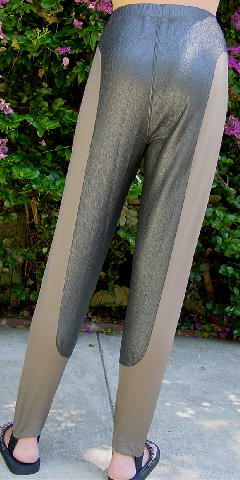 The faux leather is in a dark gray-taupe with the other panels in a light taupe with a touch of gray. 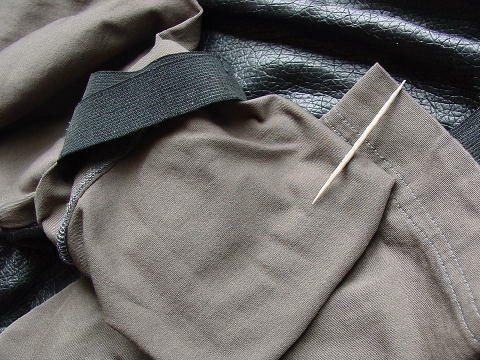 The left outer leg has 3 snags which start 4 1/4" upward from the leg bottom hem. The smallest one is 5/8" long and the other two are 7/8" long. The smallest is 1" inward from the side and they are 1/2" apart. 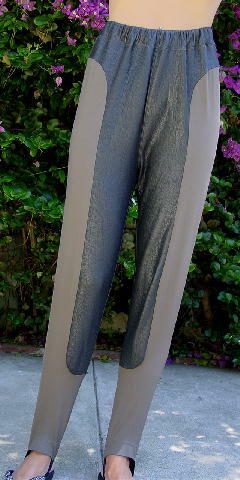 We have taken closeup pictures of the outer side and of the inner side of the pant leg. The snags can't be seen when you're wearing boots.